Prosecutors in Chicago, Illinois have dropped all charges against Empire actor Jussie Smollett for allegedly staging a racist and homophobic attack, claiming to be a victim of a hate crime. Smollett was charged with felony disorderly conduct for the alleged false report made to Chicago Police on January 29th in which he claimed to have been assaulted by two masked men who hurled racist and homophobic slurs, in addition to pouring a chemical substance over him. The actor was indicted by a grand jury earlier this month for allegedly lying to Chicago police about the attack, who in turn charged him with 16 felonies; all of which now have been dismissed at the request of the prosecution. Smollett’s bail was set at $100 000 dollars of which he had to post 10% before his release from custody after his arraignment last month. It’s unclear why the city would retain this amount but Smollett maintains he’s always told the truth. “I have been truthful and consistent on every single level since day one. I would not be my mother’s son if I was capable of one drop of what I have been accused of. This has been an incredibly difficult time, honestly one of the worst of my entire life. But I am a man of faith and I’m a man that has knowledge of my history, and I would not bring my family, our lives or the movement through a fire like this. I just wouldn’t. So I want to thank my legal counsel from the bottom of my heart. And I would also like to thank the state of Illinois for attempting to do what’s right. Now I’d like nothing more than to just get back to work and move on with my life. But make no mistakes, I will always continue to fight for the justice, equality and betterment of marginalised people everywhere,” says Smollet. Chicago police who investigated the alleged attack, earlier slammed Smollett for dragging the city’s reputation through the mud in what they described as a hoax. Chicago Mayor Rahm Emmanuel, flanked by police leadership, reacted angrily to the judge’s decision. “Our officers did hard work day in and day out, countless hours, working to unwind what actually happened that night. The city saw its reputation dragged through the mud but I remind everybody it was not just the officer’s work. A piece of that work was shown to a grand jury and they made a decision based on only a sliver of the evidence. Because of the judge’s decision, none of that evidence will ever be made public, none of it. This is without a doubt a whitewash of justice and sends a clear message that if you’re in a position of influence and power you’ll get treated one way, other people will be treated another way, there is no accountability in the system,” says Emmanuel. 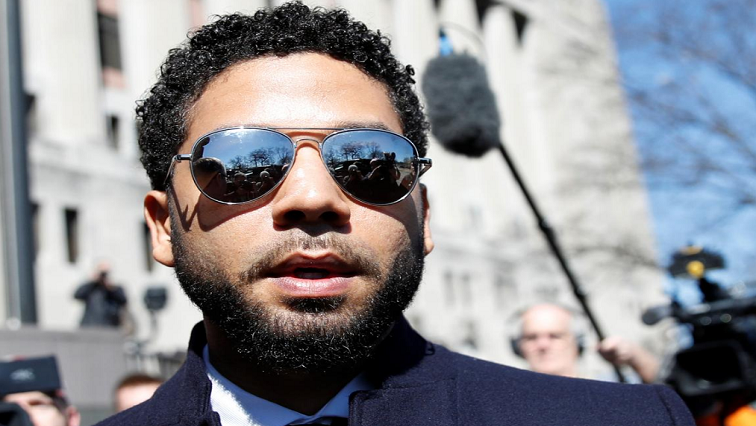 Smollett’s lawyers say he was a victim who was vilified and made to appear as a perpetrator as a result of false remarks to the public causing an inappropriate rush to judgment. The Judge in the case has ordered the court file sealed for reasons as yet unknown leaving observers with more questions than answers given the extraordinary turn of events. The post Charges against Empire Actor Jussie Smollett dropped appeared first on SABC News – Breaking news, special reports, world, business, sport coverage of all South African current events. Africa's news leader..